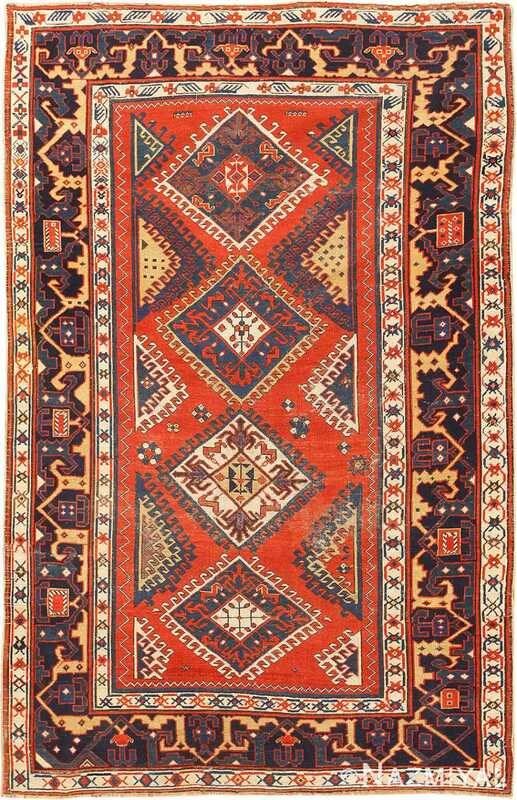 Antique Caucasian Kazak Rug, Country of Origin: Caucasian, Circa Date: 1900– A vivid figure in red dominates this Caucasian rug, its rectangular form bearing notches in the sides, centered with a pointed oval medallion. Small designs pack into the yellow-edged white ornament, which bears black stems rising from the top and bottom and tipped with tulips. 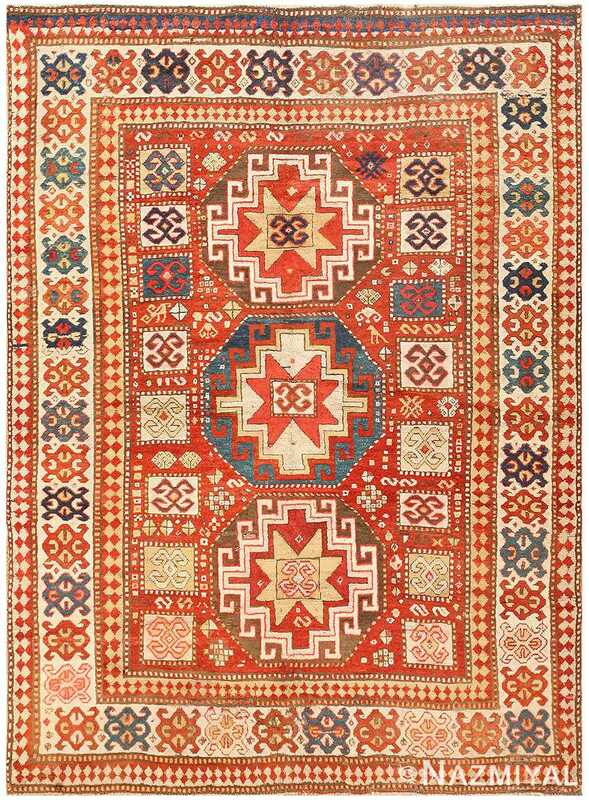 Additional stylized flowers decorate the corners of the Kazak’s bright red shape. A blue-striped backdrop rests behind this form, its hues descending like a sky over a dark ocean. 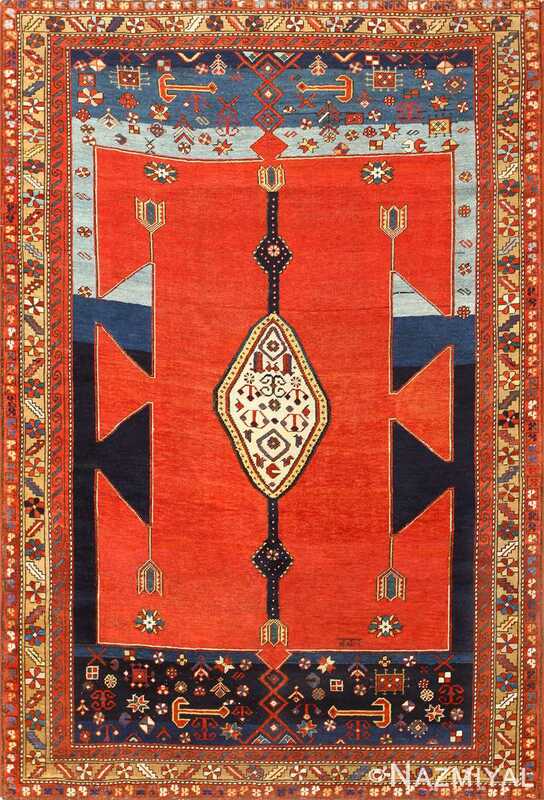 Many small adornments fill the space above and below, including round flowers and anchors. A set of three red and yellow borders surrounds the central field, lined with angular green vines and colorful flowers.